The moonstone is the most precious stones form the feldspaths group with a blue flash you can see when put under a light source. This effect is called adularescence. 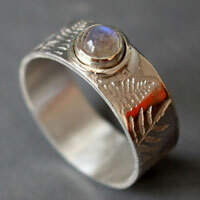 It is caused by the micro inclusions of other feldspaths present in the moonstone. The moonstone is a variety of the adularia. The best samples are from Sri Lanka but can also be found in crystalline slates from the Alps or the Vesuvius. As in a lot of other cultures, Hindus would associate the stone to the moon. They thought it was made of solidified moonbeams. Because of its soft and milky light, it is easy to understand the comparison with the moon. For Romans, this stone was made of drops of moonlight and would associate it with feminine symbols and intuition. 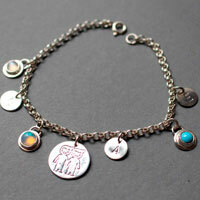 They would associate the stone with Diane, the moon goddess and protector of animals. 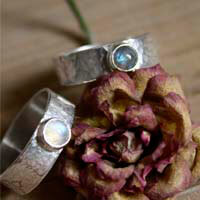 In the Greek mythology, the moonstone was associated with the night goddess, Nyx. It was also the stone of Selene who is the full moon goddess. In America, Sioux would associate the stone with the Hanwi goddess (sun of the night). It would protect Sioux during the night against bad spirits. It was also thought that if you would keep a moonstone a whole night in the mouth, one could see the future. 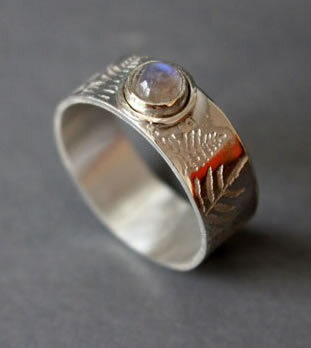 The moonstone is known as the traveler’s stone. 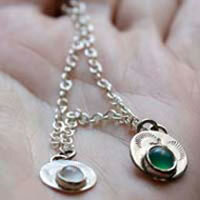 It has been used as an amulet since the Antiquity. It would protect the traveler during the night and would be more powerful when the moon reflects on the water. Mines: Sri Lanka, Australia, Brazil, India, Tanzania, Madagascar, Spain, Italy, Switzerland, Burma and the USA. The moonstone would cure impurities of the skin, allergies, hyperthyroidism, seizures, poor circulation, states of shock and fluid retention. It would help regulating menstruations and hormones. It would be useful for pregnant women, for menopause and sexuality. It would be beneficial for women fertility. The moonstone would help digesting better. It would get rid of toxins and would regulate fluid retention. It would be efficient for skin diseases and hair.